Apply toner immediately after waxing your lip area. Even with regular shaving, the dreaded mustache shadow can make an unwelcome appearance on your face. The mustache shadow can show up in photographs and make you self-conscious about your appearance. Before embarking on a course of action, determine the cause of your moustache shadow. The dark spot above your upper lip may be caused by errant hairs or a discoloration of the skin in that area. Wax your upper lip. If your mustache shadow is caused by regrowth following shaving, waxing can be a longer-lasting method of hair removal. Wait for the hairs on your upper lip to be at least 1/4-inch long. Apply a thin layer of microwaveable facial wax to your upper lip. Cover one side of upper lip with a wax strip, pressing down gently to adhere it to the wax. Pull in a quick movement toward the center of your lip. Repeat with other side. 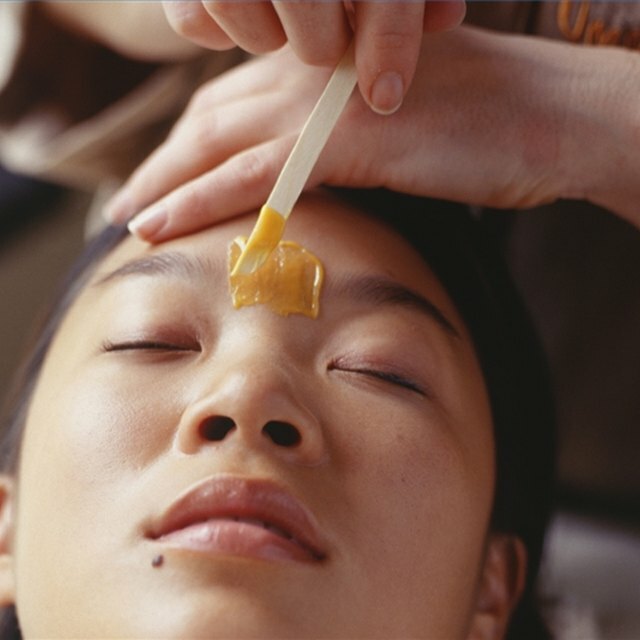 Apply toner to the area immediately after waxing. Look into professional laser hair removal. If your mustache shadow is caused by hairs on your upper lip, laser hair removal can be a permanent solution to the problem. This option is especially good for those with sensitive skin that gets easily irritated by regular waxing. Laser hair removal is done at professional laser clinics and can cost anywhere between $50 and $150 per session. Depending on the thickness of the hair, up to six sessions may be required. Use concealer to mask your mustache shadow. If the shadow is caused by a discoloration of the skin on the upper lip, a concealer will cover up any dark spots and imperfections. Choose a corrective hue in pinkish/yellow and dab on the discolored area, blending in with the surrounding area. Set with some light powder and reapply as needed. Some upper-lip discoloration can be melasma, which is hyperpigmentation that can be caused by hormones or medication. Consult with your doctor to find out if this is the case. BellaSugar; How-To: Rid Yourself of the "Moustache Shadow"